Many people believe (and often fear) that memory loss and confusion are a natural part of getting older. While forgetting and remembering things is a normal part of daily life, severe cognitive decline is not an inevitable part of aging. There are many steps you can take to reduce your risk of cognitive decline and developing dementia. Dementia describes a group of symptoms that are caused by changes in the way the brain functions. These symptoms are associated with physical changes in the brain and the decline of the brain’s abilities. Dementia is often confused with Alzheimer’s disease, but Alzheimer’s is a form of dementia. Other forms of dementia include vascular dementia, dementia with Lewy’s bodies, and frontotemporal dementia. Optimizing the health of your brain with nutrition, lifestyle, and targeted supplementation can protect against cognitive decline. An anti-inflammatory diet following ketogenic guidelines and incorporating brain healthy foods is critical for preventing and improving symptoms associated with dementia. Prioritizing sleep, minimizing stress, staying physically and socially active, healing the gut, avoiding medications that harm the brain, optimizing vitamin D levels, and supplementing with brain-supporting nutrients can also help boost brain health. These are strategies we will dive into later in the article. Dementia is not a specific disorder or disease. It is a syndrome (group of symptoms), usually chronic and progressive, associated with the loss of memory and other cognitive functions (1). It is characterized by different brain illnesses that affect thinking, orientation, comprehension, calculation, learning capacity, language, judgment, behavior, and memory without a lack of consciousness. These symptoms are severe enough to interfere with a person’s ability to perform everyday tasks. Dementia is an epidemic. Every 3 seconds, someone is diagnosed with this condition. The number of people living with it worldwide is approximately 50 million. This number is expected to triple by the year 2050. Dementia starts 30-50 years before symptoms appear. While it is not an inevitable part of aging, the older you are the more likely you are to develop some form of cognitive impairment: 10% at age 65, 25% at age 75, and 50% at age 85. The risk of dementia is 33% for men and 45% for women ages 65-100 (2). While certain genetic factors are involved with some of the more unusual forms of dementia, it is more likely environmental factors that cause it to develop. In fact, one study found that at least 35% of dementia cases could be delayed or prevented with diet and lifestyle modifications (3). Drinking high amounts of alcohol over a long period of time and smoking can play a large role. Other risk factors include atherosclerosis, type 2 diabetes, high blood pressure, obesity, less early education, hearing loss, lack of exercise, social isolation, and depression. Dementia is one of the major causes of disability and dependence for older people. The global cost to society was $818 billion in 2015 and this is expected to rise to $2 trillion by 2030.Most of the care for individuals with dementia falls on family and friends. The impact on caregivers is significant. It is very difficult to watch someone you love experience cognitive decline and most caregivers experience physical, emotional, and financial stress. While dementia affects each person in different ways, the signs and symptoms can generally be identified in three stages. Early stage: Onset is gradual so the symptoms are often overlooked. The common symptoms are forgetfulness, losing track of time, and becoming lost in familiar places. Middle stage: As it progresses to the middle stage, symptoms are apparent and more restricting. These symptoms include becoming lost at home, having difficulty with communication, needing assistance with personal care, forgetting people’s names and recent events, and experiencing behavior changes (such as wandering and repeated questioning). Late stage: The late stage involves serious memory disturbances and obvious physical signs. Individuals in the late stage have near total dependency on others and are essentially inactive. The signs and symptoms of late stage dementia are being unaware of time and place, having difficulty recognizing family and friends, needing assisted self-care, difficulty walking, and behavior changes that may escalate and include aggression. Dementia results from a variety of diseases and injuries that primarily or secondarily affect the brain. It is caused by damage to brain cells which interferes with the ability of brain cells to communicate with each other (4). Different types of dementia are associated with certain types of brain cell damage in particular regions of the brain. Alzheimer’s is the most common form of dementia, contributing to 60%-80% of cases. In Alzheimer’s high levels of certain proteins inside and outside brain cells make it difficult for brain cells to communicate with each other and stay healthy. Brain cells in the hippocampus (center of learning and memory) are often the first to be affected. Vascular dementia is the second most common type of dementia. Vascular dementia often follows a stroke but can also occur slowly over time due to vascular disease or atherosclerosis. With a stroke or vascular disease, the brain is not getting enough blood which leads to cell death and brain damage. Additional forms of dementia are dementia with Lewy’s bodies (abnormal aggregates of protein that develop inside nerve cells) and a group of diseases that contribute to frontotemporal dementia (degeneration of the temporal or frontal lobe of the brain). Frontotemporal dementia is the most common type of dementia for people under 60 years old. Different forms of dementia can co-exist. Now that we have covered what dementia is and what causes it, let’s discuss ways to prevent and heal it. Implementing an anti-inflammatory diet following ketogenic guidelines and incorporating brain-boosting foods and herbs is crucial for preventing the onset of dementia and improving symptoms related to dementia. Improving gut health, prioritizing sleep, exercising, having community, reducing stress, optimizing vitamin D levels, and using targeted supplementation can also boost brain health. It is also important to limit your exposure to toxins and avoid drugs and medications that are linked to dementia. One of the best strategies for preventing and healing dementia is to consume an anti-inflammatory diet. An anti-inflammatory diet removes foods that cause inflammation and includes organic, non-GMO vegetables, low-glycemic fruits, healthy fats and clean protein. This diet reduces inflammation, stabilizes blood sugar, reduces toxic load, provides necessary nutrients, and supports healthy blood pH levels. Cognitive decline is associated with inflammation so it is critical to avoid highly inflammatory foods. Highly inflammatory foods include refined sugars and grains, food additives and preservatives, GMO foods, and foods with pesticides and toxic debris. Meat and dairy from conventionally-raised animals, farmed fish, processed foods, hydrogenated fats and highly processed vegetable oils, such as canola, grapeseed, and safflower, promote inflammation and should be strictly avoided. These foods and ingredients upregulate inflammation, create extra acidity in the tissues, and poison and destroy brain tissue. The foods to eat on an anti-inflammatory diet are whole, unprocessed foods. Always choose grass-fed meats, wild-caught fish, and pastured eggs. Include a variety of low-carbohydrate, low-glycemic, colorful vegetables. Cruciferous vegetables, leeks, shallots, cucumbers, asparagus, and leafy greens are all excellent choices. Low glycemic fruits include berries, lemons and limes, grapefruit, and granny smith apples. Vegetables and fruits have abundant amounts of antioxidants and phytonutrients. Blueberries and lemons are two of the best fruits for brain health. Herbs also have powerful anti-inflammatory and brain-healing properties. Quality fats are a very important part of a brain-healthy diet. Healthy fats are found in coconut, olives, avocados, and their oils and in grass-fed butter and ghee. Omega-3 fatty acids and conjugated linoleic acid (CLA) found in wild-caught salmon, grass-fed beef and dairy are important for brain health. These healthy fats are an efficient source of fuel to combat inflammation and maintain cognitive function. 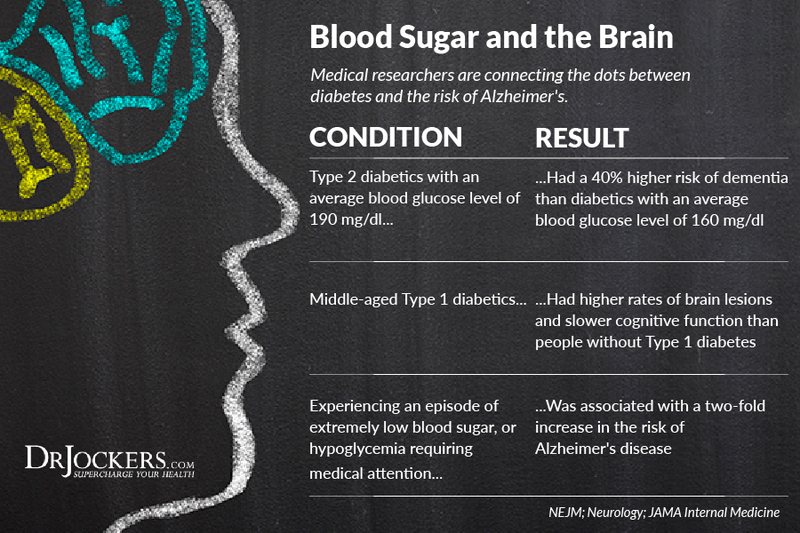 Research has clearly established a strong connection between dementia and blood sugar disorders such as insulin resistance and diabetes. The link is so clear that Alzheimer’s disease is often referred to as type 3 diabetes. A great strategy to improve blood sugar levels is to implement the ketogenic diet and lifestyle. Glucose and insulin mechanisms in the brain are impaired when an individual has dementia (5). The brain has difficulty burning glucose for fuel which can lead to sluggish brain activity, brain shrinkage, and even death of brain cells. The ketogenic diet may slow or reverse symptoms of dementia by providing an alternative fuel source. While brain glucose utilization declines in dementia, ketone body utilization does not. Additionally, neurons prefer to consume ketone bodies when given a choice between ketones and glucose. 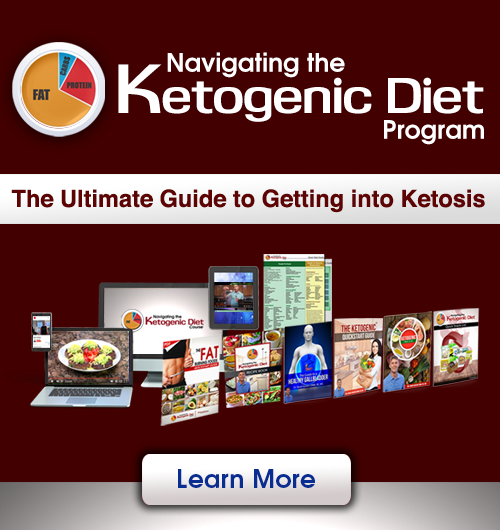 The ketogenic diet can benefit brain health through numerous mechanisms including increasing ketone body levels, reducing brain glucose consumption, lowering insulin, altering insulin signaling, increasing long- and medium chain-fatty acids, affecting lipid handling, and reducing inflammation. To follow a ketogenic diet, approximately 70% of calories should come from healthy fats, 20% from clean protein, and 10% from carbohydrates. While following an anti-inflammatory diet, it is important to include foods with particular benefits for brain health. Some amazing brain healthy foods include dark chocolate and raw cacao, grass-fed beef, wild-caught salmon, citrus fruits, herbs, red wine, and coffee. Good news chocolate lovers, dark chocolate is great for brain health. Findings from two recent studies show that consuming dark chocolate with at least 70% cacao supports cognitive health (6). Dark chocolate has positive effects on stress levels, inflammation, mood, memory and immunity. Dark chocolate is an amazing superfood containing many nutrients including fiber, magnesium, iron, copper, calcium, protein, and manganese.Dark chocolate contains oleic acid and is loaded with a mixture of polyphenols, especially flavonoids, which have antioxidant and anti-inflammatory properties. Dietary flavonoids have been shown to reduce the risk of death from heart disease, cancer and stroke and to have a preventative effect on neurodegenerative disease (7). The higher the cacao concentration, the more positive the impact on cognition, memory, mood, immunity, and other beneficial effects. Look for chocolate with 70% or more cacao content. The darker and less processed the chocolate, the higher the amount of antioxidants. For example, raw cacao contains the most antioxidants, with the next highest amount being found in minimally-processed dark chocolate. Grass-fed beef is loaded with omega-3 fatty acids, conjugated linoleic acid (CLA), saturated fat, vitamin B12, and carnosine. These nutrients are key for developing a healthy brain and optimizing brain function (8). Avoid conventionally-raised, grain-fed beef which has less nutrients and much more inflammatory omega-6 fatty acids and toxic environmental chemicals. Wild-caught salmon is full of the long-chain omega-3 fatty acids EPA and DHA which are crucial for brain health (9). Wild salmon also has astaxanthin which has been shown to decrease oxidative stress and inflammation in the body (10). Both grass-fed beef and wild-caught salmon are excellent protein sources for brain health. 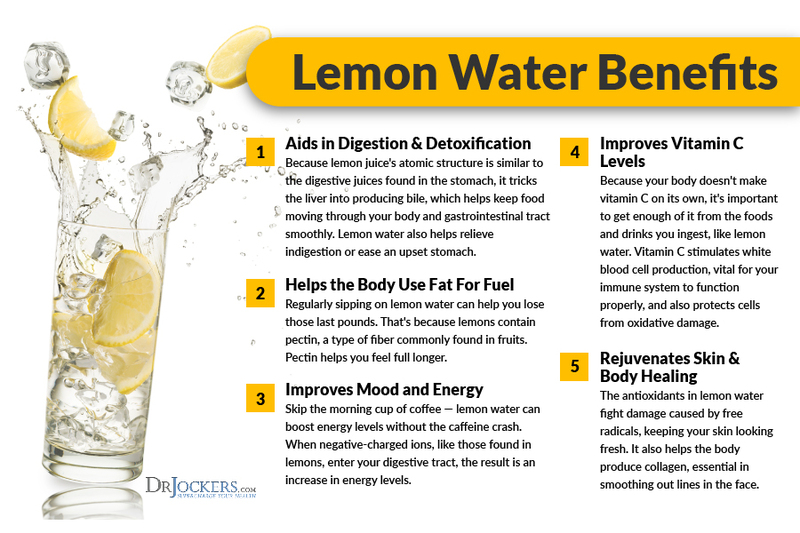 Lemons and limes are naturally rich in vitamin C, citrus bioflavonoids, and key electrolytes such as potassium and magnesium. Citrus bioflavonoids are unique phytonutrients that are classified as vitamin P.
Citrus bioflavonoids improve capillary permeability and blood flow which helps oxygenate the deep regions of the brain. The deep regions of the brain are critical for cognitive processing and sensory acuity. Citrus essential oils are also excellent sources of citrus bioflavonoids. Herbs and spices such as cinnamon, rosemary and turmeric are excellent for brain health. Cinnamon is rich in antioxidants and has a very high ORAC score which is its oxygen radical absorbency capacity. This means that cinnamon helps protect neurons from free radical stress. Cinnamon stimulates insulin receptors in the body and plays a powerful role in stabilizing blood sugar levels (11). Rosemary is a brain stimulant that helps prevent the breakdown of the key neurotransmitter, acetylcholine (12). Acetylcholine is critical for the everyday functioning of the brain, particularly in the areas of movement, learning, memory and sleep quality. One of the main ingredients in in rosemary is carnosic acid. Carnosic acid can protect the brain from stroke and neurodegeneration that is due to damaging free radicals (13). Perhaps the most impressive spice for the brain is turmeric. A promising study revealed that the primary polyphenol in turmeric, known as curcumin, may be an effective therapeutic strategy to improve and even reverse age-related cerebrovascular dysfunction (14). Curcumin is not the only compound in turmeric that benefits the brain. A study found that a fat-soluble component within turmeric, Ar-turmerone, may support brain regeneration in neurological disease (15). Ar-turmerone was shown to increase brain stem cells and form new healthy brain cells. Studies have shown that moderate wine consumption may delay the onset of dementia and other neurodegenerative diseases (16). Red wine has neuroprotective effects due to powerful compounds such as anthocyanins, quercetin, lutein, and zeaxanthin. Most commercially-available wines have a high sugar content and contain harmful ingredients. In fact, there are 76 different chemical additives approved for commercial wine production. It is important to only consume organic, additive-free, low-sugar wines consistent with the ketogenic lifestyle. Dry Farm Wines distributes the healthiest wines in the world which meet these standards. Be sure to consume low to moderate amounts of wine to reap the health benefits. Heavy drinking is associated with increased risk of disease including cardiovascular and cerebrovascular disease. Coffee is the one of the most popular beverages in the world and the largest source of dietary antioxidants in industrialized nations. It has been shown to have numerous health benefits, including promoting brain health. One of the main ways coffee benefits the brain is by enhancing insulin signaling and blood sugar metabolism. Coffee contains caffeine, chlorogenic acids, organic acids, polysaccharides, and other beneficial compounds. Being plant-derived, coffee has an abundance of antioxidants, including polyphenols which have anti-inflammatory properties. Roasting coffee causes chlorogenic acid to be transformed into quinides, compounds that alter blood glucose levels (17). Coffee may also have prebiotic-like properties altering gut flora and improving digestion. It is important to consume organic, mold-free coffee. Conventional coffee beans are loaded with pesticides and herbicides. It is also important to avoid the sugar-loaded, non-organic, pro-inflammatory coffee beverages you find at popular coffee shops. Physical exercise is one of the best ways to maintain optimal brain function. Exercise increases blood flow and supplies oxygen to the brain. Exercise may even stimulate hippocampal neurogenesis (the growth of new brain cells). Numerous studies have shown the association between exercise and risk of developing dementia. The recently published results of a 44-year study, researchers found that cardiovascular fitness level had a clear association to the risk of developing a degenerative mental condition. Women who were “highly fit” were 88% less likely to develop dementia (18). A 2016 study had similar findings. The study showed that lowered fitness levels were equivalent to an additional year of brain aging in healthy individuals (19). It is critical to stay physically active as you age to maintain higher levels of cognition and prevent dementia. Many popular medications have been linked to dementia. Common allergy and sleep medications such as Benadryl, Dramamine, Advil PM and Unisom are known to have anticholinergic effects. An anticholinergic is a substance that blocks the neurotransmitter acetylcholine in the central and peripheral nervous system. In a 2016 study, researchers found a link between anticholinergic mediation and cognitive impairment and the increased risk of dementia (20). The study found that the use of anticholinergic medication was associated with increase brain atrophy and dysfunction and cognitive decline. Numerous studies have shown that vitamin D may reduce the risk of cognitive decline (21). In a 2015 study, researchers found that vitamin D deficiency is associated with a substantially increased risk of all-cause dementia and Alzheimer’s (22). Individuals with severe vitamin D deficiencies (less than 10 ng/mL) had a 122% increased risk of dementia andIndividuals deficient (less than 20 ng/mL) in vitamin D had a 51% risk of dementia. D3 is the biologically active form of vitamin D. This form has shown neuroprotective effects including the clearance of amyloid plaques. The ideal range for vitamin D3 levels is between 50-80 ng/ml. Vitamin D3 is created in your skin in response to sun exposure. There are numerous dietary sources of vitamin D such as wild-caught salmon and fatty fish, cod liver oil, grass-fed butter and raw cheese, egg yolks, mushrooms, and beef liver. It is important to test to be sure that you have optimal vitamin D levels. It is also important to combine vitamin K2 with vitamin D3 because these vitamins work synergistically. Foods rich in vitamin K2 are meat, dairy, fermented foods, and natto. Vitamin K2 is also produced by the beneficial bacterial in your gut. Stress is one of the leading factors in age-related cognitive decline. Severe stress causes inflammation in the brain which may make the brain more vulnerable to degeneration. Stress also leads to depression which is also associated with cognitive decline. A recent study identified 27 stressful life events that can cause permanent damage to the brain (23). These stressful experiences were found to age the brain by several years. The study found that even events early in life may have an impact on later brain health showing the need to reduce stress throughout your lifespan. A 2018 study had similar results. The study looked at the impact of negative “fateful life events” on the brain. The researchers found that having more stressful events in life was associated with advanced brain aging (24). Following the healing diet and balancing your blood sugar levels are two effective strategies for reducing stress on the body. Other powerful techniques are prayer or meditation, grounding, deep breathing exercises, sunlight exposure, Epsom salt baths, and dry brushing. Stimulating activities can help reduce stress and engage the brain. Activities such as playing games, reading books, crafts (like quilting and knitting), and art can help reduce cognitive impairment. Listening to music can help minimize stress and may facilitate brain neurogenesis. It is important to be vigilant about stress reduction to reduce your risk of dementia. Restorative sleep is critical for optimal brain function. Sleep reduces inflammation and restores the brain by flushing out toxins (25). One of these toxins is a toxic protein called beta-amyloid that accumulates in the brains of patients with Alzheimer’s. Sleep also allows the neurological system to upregulate appropriate neurotransmitters and rebuild myelin sheaths that protect and insulate nerve fibers. A lack of sleep drastically impacts cognitive function impairing reasoning, problem-solving, attention to detail and other effects (26). Sleep deficiencies cause blood sugar imbalances, increase inflammation, and increase cortisol secretion, which may contribute to cognitive problems. Sleep deficiencies are also linked to high blood pressure, diabetes, and obesity, all of which are associated with dementia. Even the position in which you sleep can impact brain health. Sleeping on your side may improve the brain’s waste clearing processes, lowering the risk for neurological diseases (27). Magnesium is an important micronutrient that plans a critical role in stress and sleep. Supplementing with magnesium, such as Brain Calm Magnesium, may help the brain signal the body for sleep. Other strategies for better sleep are getting sunlight during the day, avoiding artificial light, blacking out your room with blackout curtains or using a sleep mask, and forming healthy sleep habits. Improving gut health is one of the top strategies for boosting cognitive function. The gut is considered the second brain due to the amount of nerve endings and neurotransmitters that are linked to gut function. When the gut lining is inflamed and damaged, large proteins enter the bloodstream. This creates inflammation in all tissues, including the brain. 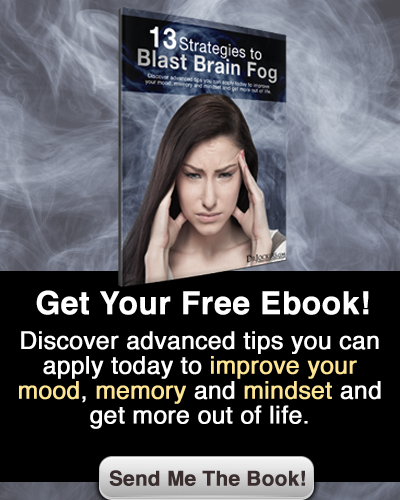 Individuals with leaky gut have an increased risk for brain fog, depression, irritability, and other cognitive issues. Good bacteria in the gut influences gut health and the brain. Supplementing with a high-quality probiotic with 30-100 billion CFUs is a great was to protect and heal the gut. Fermented foods such as sauerkraut and kimchi are also helpful for improving gut health. Many nutrients can be beneficial for brain health. Acetyl-L-Carnitine (ALC) is a type of carnitine produced naturally in the brain. ALC is a powerful antioxidant that is able to permeate the blood-brain barrier and stimulate and fortify the brain’s nerve cells. 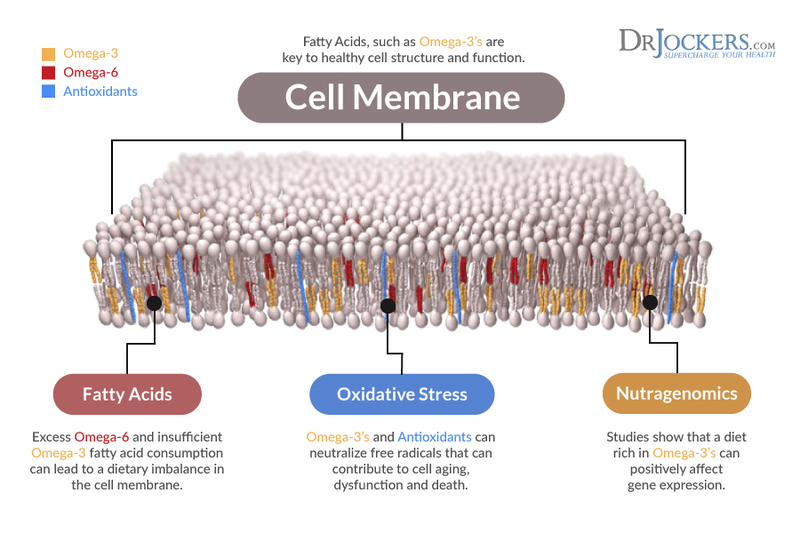 It can also aid in directing fatty acids to the mitochondria, the powerhouse of the cells. This helps create new cell energy. N-Acetyl-L-Cysteine (NAC) is an amino acid that boost glutathione, the body’s master antioxidant. By boosting glutathione, NAC protects the brain from damaging free radicals. As we age, our body’s manufacturing of Phosphatidylserine (PS) slows. PS is a class of phospholipids found in cell membranes. This compound is critical because it helps the brain use fuel more efficiently. PS boosts neuronal metabolism and stimulates the production of acetylcholine. Studies have shown that supplementing with PS can slow down and even reverse age-related cognitive impairment. One of my favorite supplements for brain health is Brain Supercharge. Brain Supercharge contains ACL, NAC, PS, Alpha Lipoic Acid, Coenzyme Q10, Carnitine, and Broccoli Seed Extract. This combination of unique compounds can dramatically benefit cognitive acceleration and brain regeneration. This formula can combat the effects of damaging free radicals by improving mitochondrial energy production and antioxidant support. Loneliness and depression are linked to dementia. Older people are especially vulnerable to loneliness and social isolation. Loneliness and isolation can lead to depression and a decline in health and wellbeing. If you are older, consider joining community groups, a Church family, or a reading/activity club are ways to stay socially active. Look for volunteer opportunities where you can use the knowledge and experience you have gained over a lifetime. You can use free video chats on the computer to communicate with friends or family (grandchildren) who live far away. You can also use social media sites to reconnect with old friends or make new friends. If you know an older person who may be lonely, make the effort to visit them, take them to lunch, or just give them a call. Even small gestures can make an incredible impact in an older person’s life. Also, remember to laugh with your friends. Laughter is a powerful way to get the body into a healing state. Dementia is used to describe a group of symptoms associated with a decline in cognitive function. Symptoms include memory loss, difficulty communicating, confusion and disorientation, personality changes, depression, difficulty reasoning, and more. There are many forms of dementia, with the most common form being Alzheimer’s disease. While there are several risk factors that increase the likelihood for developing dementia, most of these risk factors can be minimized with diet and lifestyle changes. An anti-inflammatory, ketogenic diet and lifestyle is a critical strategy for preventing and improving symptoms. You should incorporate brain-healthy foods such as grass-fed meat, wild-caught fish, herbs, and citrus fruit. Even dark chocolate, red wine, and coffee have brain-boosting effects. Other strategies for boosting brain health are staying physically and socially active, minimizing stress, prioritizing sleep, avoiding drugs that negatively affect brain health, optimizing vitamin D levels and supplementing with brain-boosting nutrients. Wow. A lot of information to process here. Thank you! Some of it feels a bit too “fly-by,” especially for those of us who have attended a number of the popular health summits making the rounds these days. May I be so bold as to suggest (from both a writer’s and a health information consumer’s perspective) that your newsletters might be more easily processed if they were a bit more focused and specific. I do like that you provide the bibliography at the end. That helps readers to qualify some of the information. I have read enough to see some contradictions here. I see them in other health practitioners’ newsletters, too, by the way. I also have sufficient experience with some therapies and interventions to see how some of the information here runs counter to what I know helps me. But we’re complex individuals, right? I am always learning, of course, and everyone has to start somewhere. My observation, for what it’s worth, is that those just beginning their learning journey will find your approach here too overwhelming, and others like me, who are farther along will see it as trying to cram in too much info without enough pertinent specifics. My husband calls that approach “using every crayon in the box,” haha. A lot of the content here is good, though! I have done “deep diving” into a variety of resources over the years, as I sought to better understand my particular health needs (stress-induced gut inflammation eventually became my chief concern). I am certainly no expert (a somewhat relative term these days, I find), and you may take my advice with a grain of salt if you wish. I offer it in a spirit of gratitude for all the functional medicine practitioners and holistic healers out there, who have helped me so much over the years. Achieving health holistically is certainly a complex task! Luckily, we have a growing body of practitioners that can help guide people through the process of supporting the body in its natural healing. Trying to do everything on your own can be done but, as you stated, can be overwhelming for someone who is struggling health-wise. Thanks for your input Debbie!